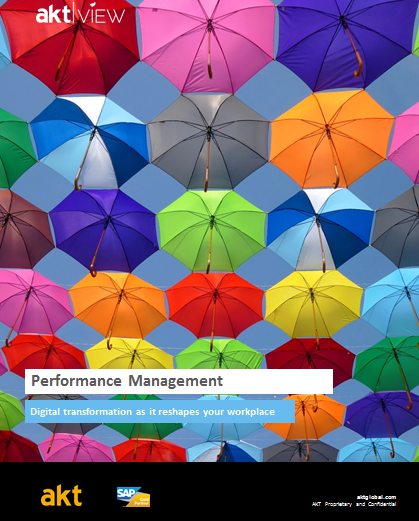 Most organizations are not comfortable in the way performance management is run today and are regularly trying to change it (again and again). In this white paper, AKT will set the scene by explaining how performance management has diverged from traditional practices and why an organization’s approach has to be segmented. We will also explore how SAP® SuccessFactors® can align to your future performance management practices.